Do you need to get dressed up in formals for a special evening but don’t have the budget to do so? 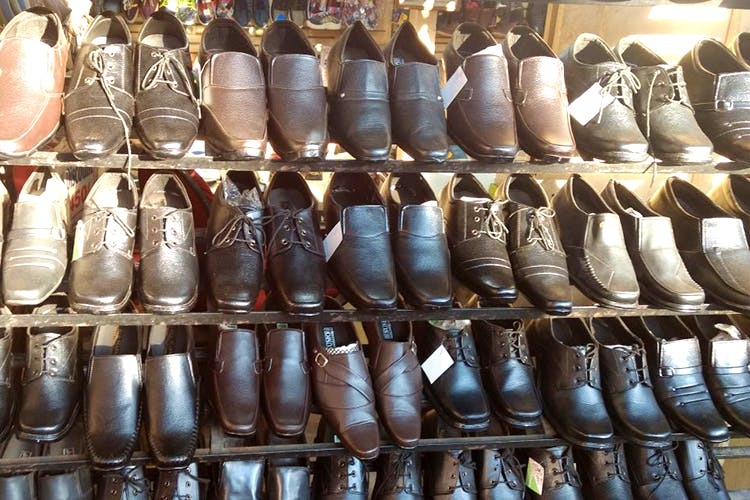 Here’s a shoe shop in Shanivarwada that is here to help you out with men’s budget formal shoes. Shanivarwada is in the centre of the city. This place is almost always crowded and filled with a lot of shops that we tend to overlook. One such shop, opposite Shanivarwada’s main gate, is Decent Shoe Shop, rather small in size, sells men’s formal shoes starting at INR 300 and the costliest ones will cost around INR 500. The material used for the shoes is micro leather and this little shop offers a huge range of options to choose from. They also have sneakers for INR 425 and slippers starting at INR 100. They have a 50% discount throughout the year. We swear we thought some of their shoes look like they’ve been bought from a mall! Buying your perfect pair of formal shoes isn’t that tough, anymore. So get shopping, boys!